Midfielder Gary started his career with the Coventry City youth set up but left before his sixteenth birthday. He was spotted playing for Northampton Spencer and joined Diamonds youth set up on 21 July 1997. He came straight into Diamonds youth team, playing in the same side as Andy Burgess and Jon Challinor. He made his debut in the League Cup game at Farnborough Town on 22 December 1998, coming on as a second half substitute. He signed a professional contract the following season, and after several substitute appearances early on, had his first start at Altrincham in October 1999. In the Conference winning season, he played in half of the League games which saw Diamonds progress into the Football League. 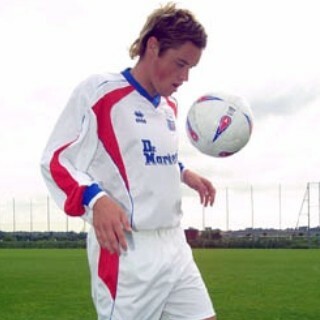 As Diamonds adjusted to life as a League club, Gary found himself mainly on the bench during the following season, but at the beginning of the 2002/2003 season, established himself in the starting eleven as Diamonds gained another promotion. Gary unfortunately suffered a serious ankle injury in the game at Oxford United on 11 September 2004 and it meant he was sidelined for some 14 months by which time Diamonds were struggling to remain in the Football League. 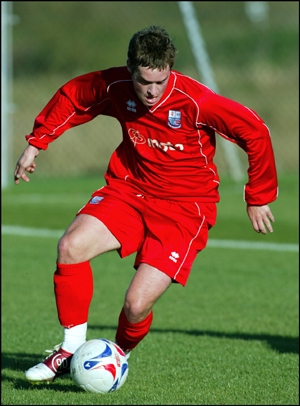 He went on to make another 14 appearances, but left the club by mutual consent on 20 April 2006 to join Crawley Town on non-contract terms after some eight years at Nene Park and some 153 games. Although not noted for his shooting prowess, he did score three times, including two League goals. After an unsuccessful trial with Yeovil Town, Gary re-joined Crawley Town on 10 August 2006 on a short term deal and remained with the club until 9 January 2007, when manager Graham Westley brought him back to Nene Park, and he went on to make another 17 appearances. Following another change of manager and the arrival of Garry Hill, he was released again at the end of the season, and signed for Conference North side Tamworth on 25 May 2007. His stay at Tamworth was not very successful, and after an argument with manager Gary Mills (no relation) after being left out of the team, he was dismissed from the club on 24 October 2007. He joined fellow Conference North side Kettering Town just three days later, helping the Poppies to promotion – and scoring twice, but he was released at the end of the season. Graham Westley brought him to Stevenage Borough on 13 May 2008, and was a regular in the side during the 2008/2009 season, which included an FA Trophy win over York City at Wembley Stadium. He signed for Mansfield Town on 26 May 2009 on a two year deal, but on 18 October 2010, went out on a one month loan with Forest Green Rovers. 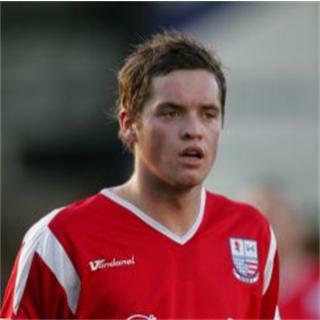 He was eventually released by the Stags and on 13 January 2011 rejoined Rushden & Diamonds for a third spell with the club. After becoming a main-stay of the Diamonds midfield for the remainder of that season, his last game for the club was at Crawley Town in April 2011 when the red card he received in that game meant a premature end to his season. He had made a further 20 league appearances for the club, one of them as a substitute. He joined Bath City on a season long deal on 23 May 2011, but made just three appearances before leaving to join Conference North side Nuneaton Town on 15 September 2011, helping them gain promotion to the Conference through the Play-Offs. Gary left at the end of the season however after being offered a 1 year deal with Conference side Lincoln City on 21 May 2012, where he became club captain. He suffered a serious knee injury during December 2012 which kept him out of action for several months and on 4 March 2013, he left the Imps by mutual consent, before signing for Conference North side Brackley Town on 28 March, although his injury was likely to keep him sidelined for the remainder of the season. On 12 May 2013, it was announced that Gary had joined Conference North side Boston United. In order to gain match fitness however, he went on a three month loan to NPL Premier side King’s Lynn Town on 29 August 2013 – the move to King’s Lynn Town being made permanent on 4 January 2014. He left the Linnets on 29 May 2014, to become assistant manager to Kevin Wilkin at Conference side Wrexham. He had a short spell as the Rugby Town manager in 2015, before joining Kings Lynn Town as a player-coach in 2016. He took over as manager at Corby Town for a spell in the 2016-17 season. His Wikipedia entry can be found here.